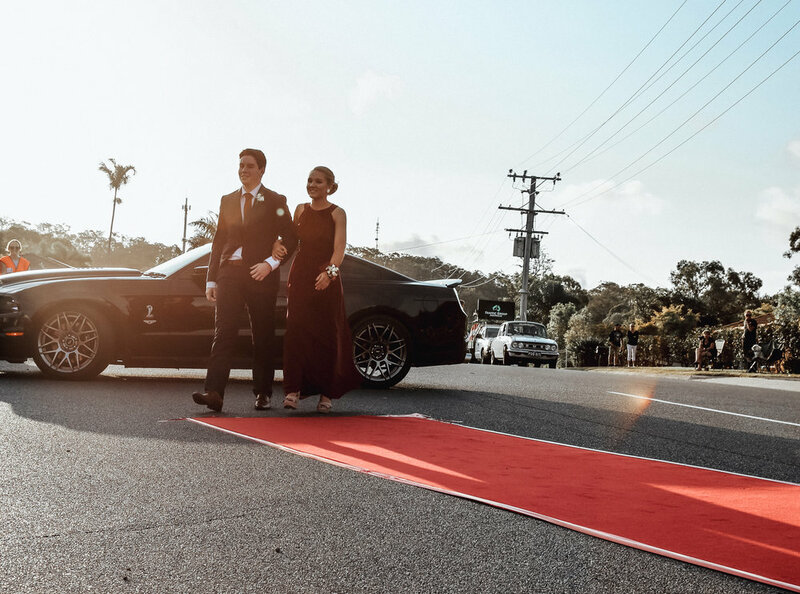 Prom time is a big deal, not only for the graduating Year 12s, but also for their families, as they celebrate a major milestone. I was very honoured to be front and centre with my camera for Keeley and Henry, Mitch and Hannah, and Reghan and Meg. Needless to say, they all knocked it out of the park. 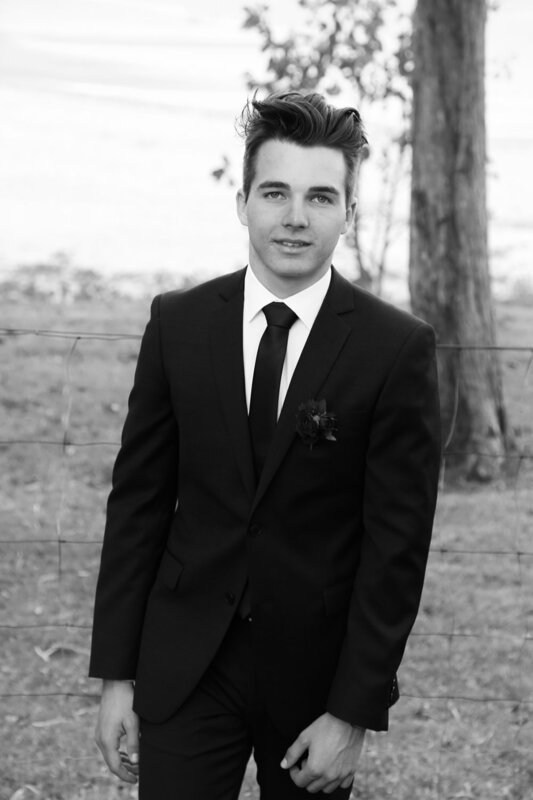 My prom did not look like this… haha. One of Australia’s best kept secrets, Pumpkin Island is a tiny gem nestled in the glorious waters of the Southern Great Barrier Reef - an easily accessible 30 minute ferry ride from Yeppoon in Central Queensland. 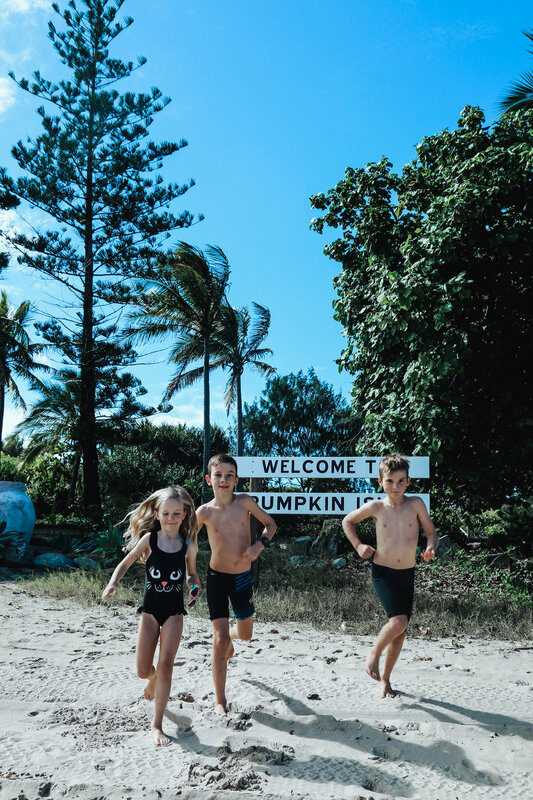 From the minute the Pumpkin Xpress threw its gang plank down onto the pristine, white sand of Main Beach, we couldn’t help but feel we had entered a real life Neverland. Palm-framed beaches give way to grass tree covered hills, with glorious views across the sea to neighbouring islands. The steep, narrow path down to mysterious Mermaid Cove reveals a secret inlet covered with clinking coral and shells (and my kids assure me it has a distinct smell of pirate treasure). Monolithic cliffs drop vertically into the sea, and we marvel at untouched beaches with nothing but seagull footprints on them. Each pocket of the island has secrets, and a personality all its own. 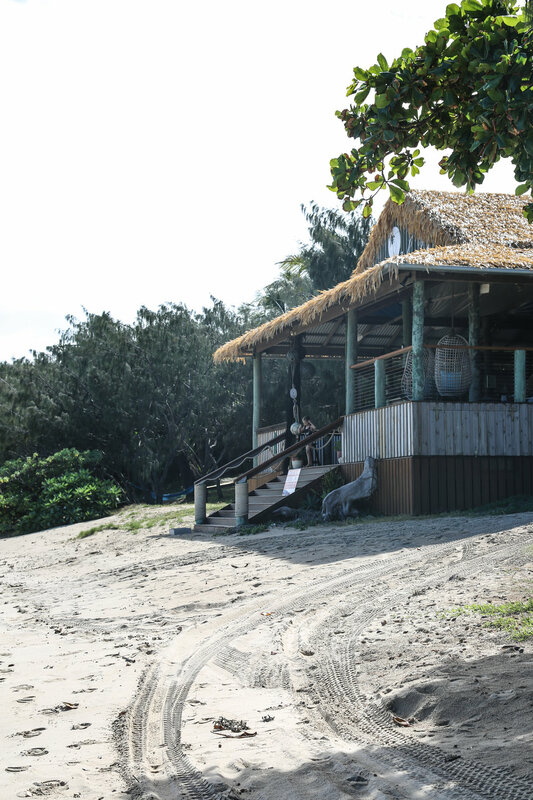 Owners Laureth and Wayne, have created an Eco Resort, relying on sun and wind to power the island. Single use plastics are banned not only on the island itself, but also on the ferry. "We are fully committed to operate as sustainable an operation as possible, saving and improving usage of water, power, fuel and emissions and thus minimising our environmental footprint". Pumpkin Island was awarded Advanced Eco Tourism certification in November 2009. Tom checking out Pebble Point. The island’s accomodation consists of 7 self-catering cottages and bungalows, all of which are powered by wind and sun. Each is unique and well appointed, positioned far enough away from each other to ensure privacy, and sporting front row seats to magnificent sunsets over the Pacific ocean. We stayed in Coco Pine, a gorgeous cottage nestled amongst the Norfolk Pines and coconut palms, and a literal hop step and a jump from its generous deck onto the white sands of Main Beach. Our bedroom was beyond comfy, with luxury linens and a huge window facing out to sea. The kids were able to spread out (and bed hop) in their bright, breezy room boasting four singles. The accommodation is perfect for couples and families, however, the absolute kicker is that Pumpkin offers ‘whole island’ bookings for up to 34 guests! That’s right - you can have the whole place to yourself! Pumpkin Island is self catering, and has no restaurants or shops, therefore some planning is required when it comes to food. The website offers excellent local foodie advice for the departure town of Yeppoon, and with barbecues on each deck, fully operational kitchens and a wood fired pizza oven on offer, guests can easily transport and cook their own food. The island even has its own herb garden at guest’s disposal. 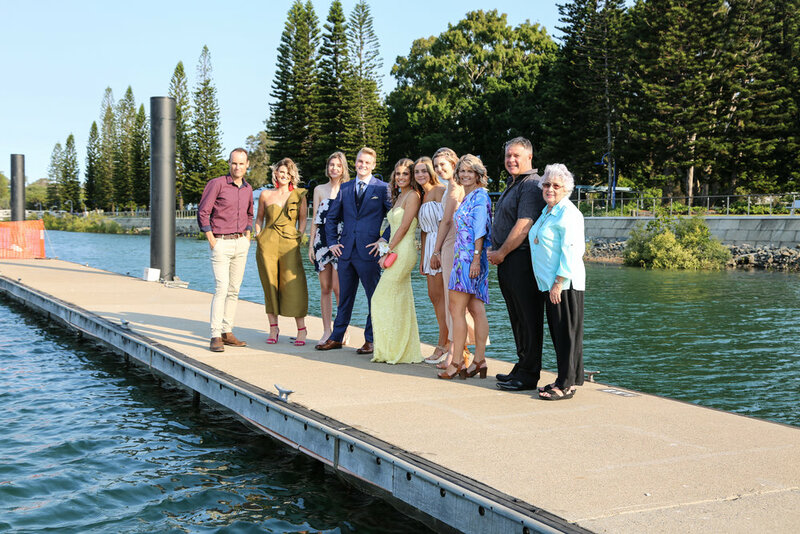 For those wanting the leg work taken away, look no further than the award winning Waterline Restaurant, located at Rosslyn Bay Marina (your point of departure). 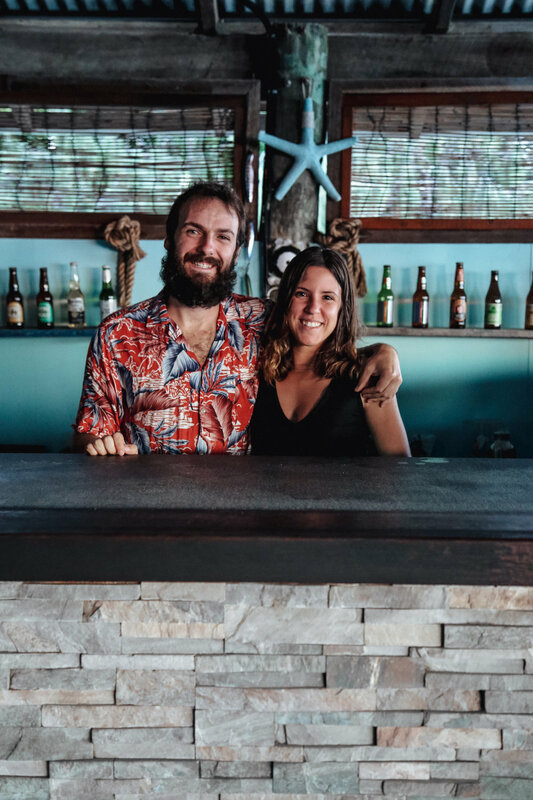 Beloved by locals and tourists alike, The Waterline offers Pumpkin Island guests a preorder menu, including a selection of fresh, local seafood. With 48 hours notice, The Waterline’s chefs will prepare your day’s meals, and send it over with the ferry. This trip, we decided to cook in our cottage kitchen and eat by the bonfire as we looked out to the twinkling fairy lights of far off Yeppoon at twilight. Spaghetti Bolognese never tasted so good. Perhaps most importantly, there is a licensed bar in the Sunset Lounge offering craft beers, wine and cocktails to wet your whistle as you take in the sunset. Caretaker Josè made me a very impressive Margarita (ok two). Free coffee is available here as well. Maggie fishing off the beach. Crystal clear water, hiking paths, rock formations and reefs, meant we were never stuck for something to do. 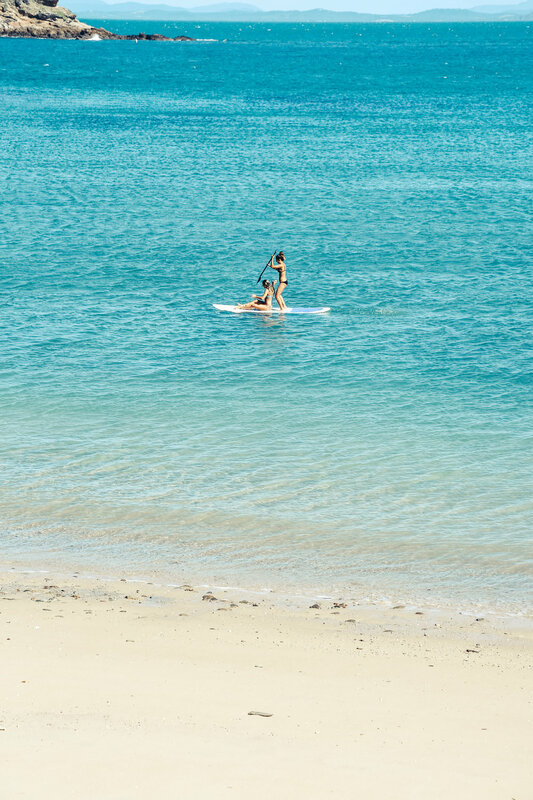 Non-motorised water sports are free for guests, so snorkelling and stand-up paddle boarding were a hit with the kids, as was exploring the rock pools and caves in the conveniently provided reef shoes. My husband was happy to monitor his fishing rod from Coco Pine’s deck - occasionally making a wild dash on to the beach to reel in a flathead (one even ended up on the barbecue for lunch). The glass bottomed kayak was tempting (especially with the abundance of marine life around), but I eventually decided to take advantage of one of the strategically placed hammocks, armed with a book and a cold drink. When the kids needed a break from the sun, they found plenty of board games in the Sunset Lounge to keep them amused. Yeppoon is an easy 25 minute drive from Rockhampton Airport. 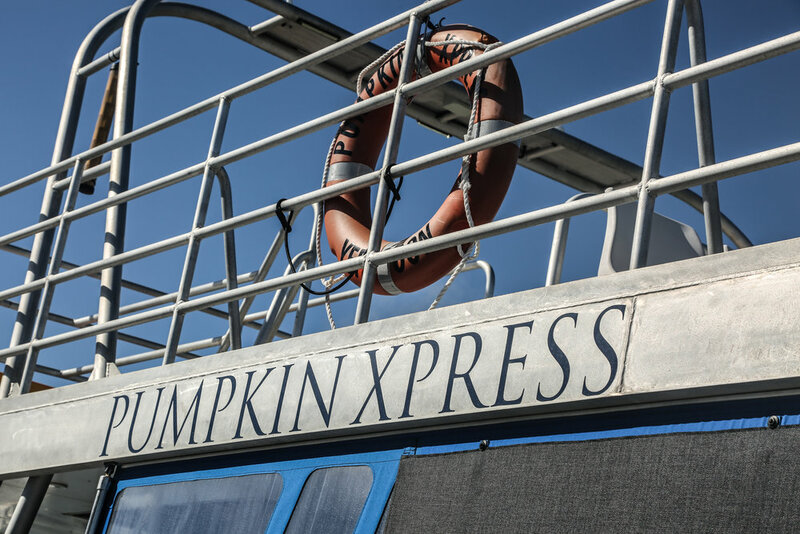 The Pumpkin Xpress leaves Rosslyn Bay Marina daily by request. I travelled and stayed as a guest of Pumpkin Island with my husband and 3 children. We are beyond grateful to the owners and caretakers for their amazing hospitality and generosity. 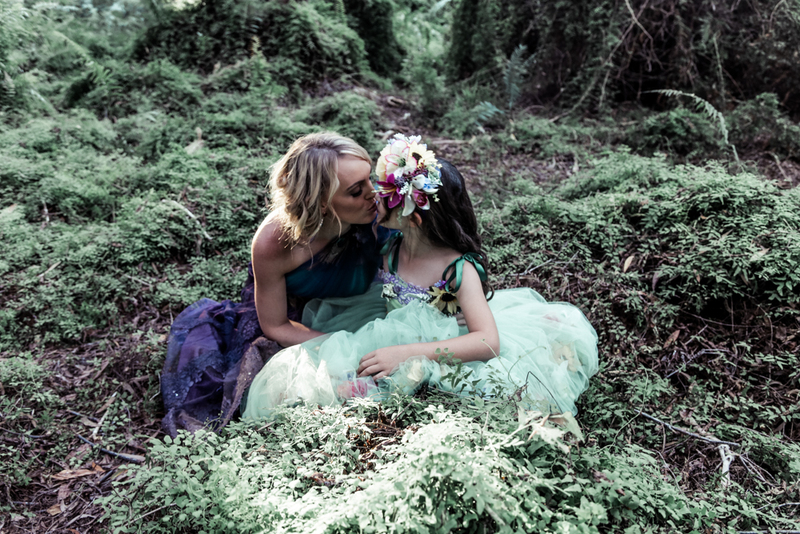 When Hollie Miers approached me with the idea of getting some photos taken with her gorgeous daughter Lilah, she had something special up her sleeve. "Lilah and I have been flying solo for the 'best' part of four years since my marriage to her Dad broke down. Ever since I've been wanting to get some photos taken to hang on our walls, to remind us every day what kind of strong and kick-arse women we are!" 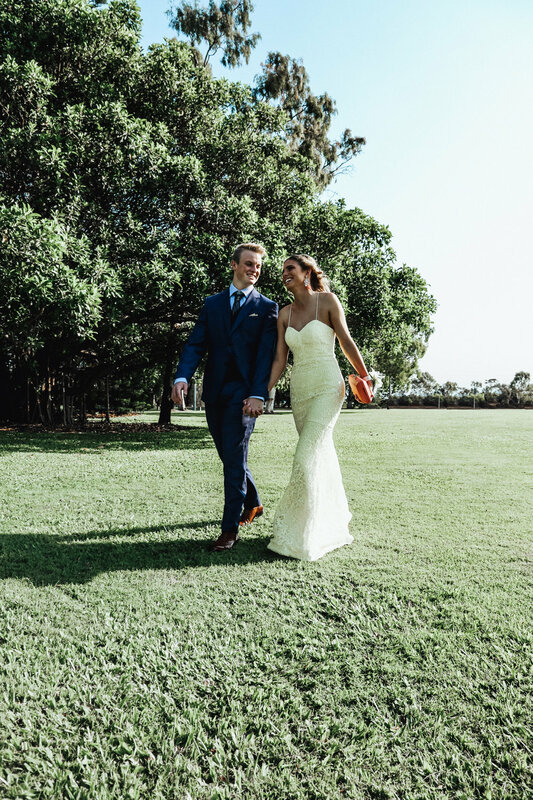 "When I wore that dress, I truly felt like the most beautiful woman in the world - it was such an amazing gown and seemed crazy it's just been sitting in my wardrobe ever since, taking up space!" 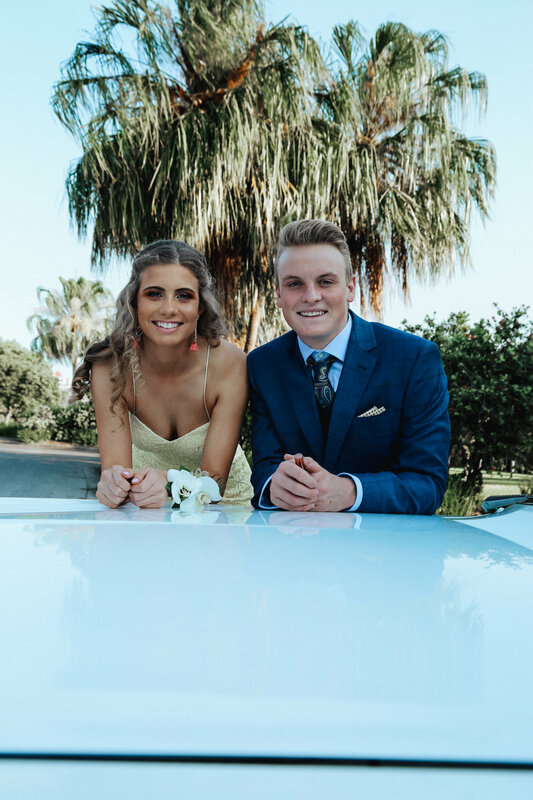 In an amazing transformation involving feathers, dye, flowers and a skilled dressmaker, Hollie created beautiful new memories out of an old one. 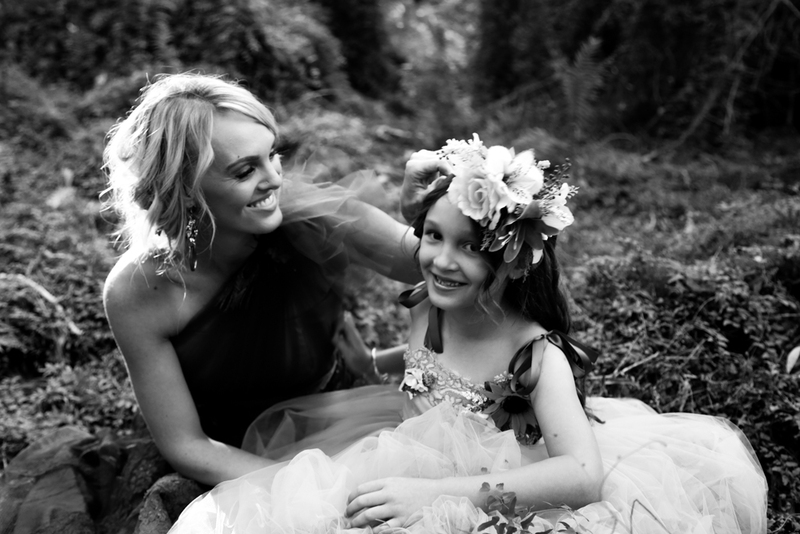 "Lilah and I are going to dress up in my re-purposed wedding dress, and jump around like fairies in a forest while remembering what actually matters in life!" 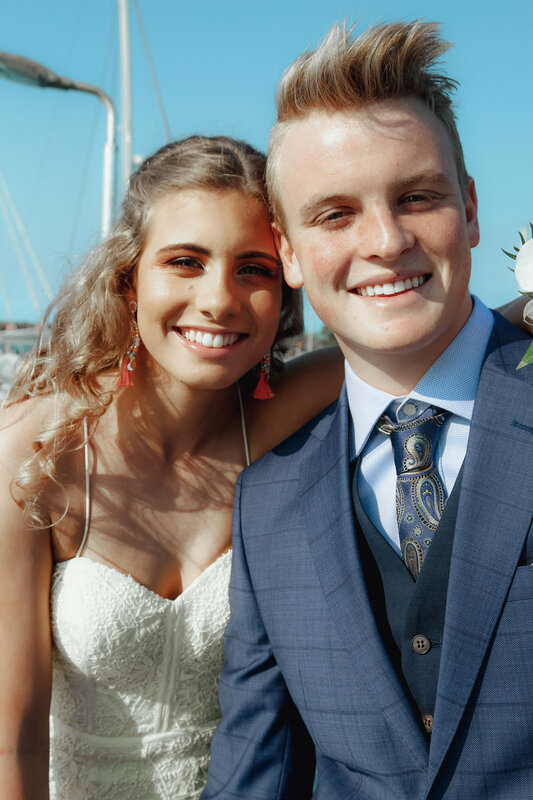 We headed into Agnes Water's magical Paperbark Forest, and finished off our afternoon bathed in a glorious sunset at the beach - and in a perfect case of serendipity, the date of our shoot fell one day before Mother's Day! Thank you Hollie and Lilah. That was a really special afternoon to be a part of. Organic cotton? Check. Unisex? Check. Super comfy? Check. Cute and classic? Check. Made in Australia? You bet! 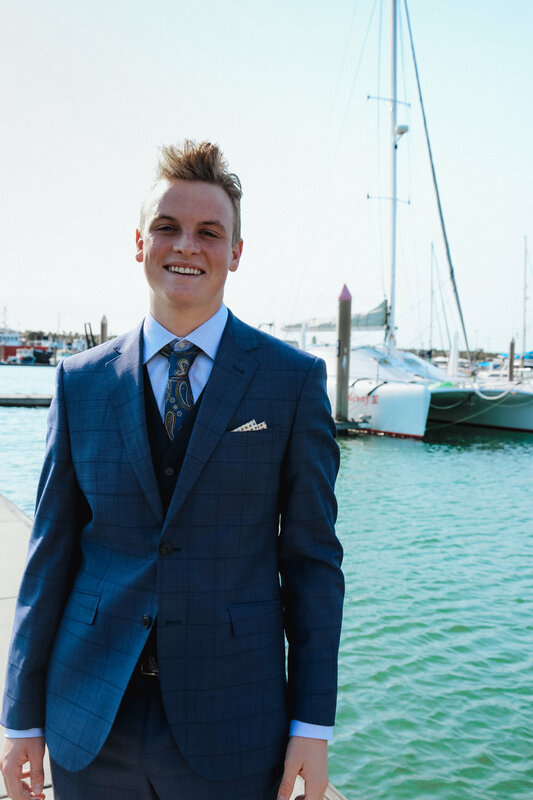 Andie Kids was started by two clever, Melbourne mums, who identified a gap in the market for cool, durable and comfortable unisex streetwear for children. When the designers, Anna and Steph, sent a few gorgeous pieces up from Melbourne for me to shoot, we hit the beach to give them a thorough Queensland work out. Needless to say they passed all tests with flying (and gorgeous) colours! Maggie wears the Robbie Set, and the Sky's the Limit set. On location in Boyne Island for bracewell, with this unreal red Ford ute and the gorgeous Josie McAullay. Styled and photographed by me. Hayley Dennis has got a lot of balls in the air ... and she is going to show us how to juggle them! 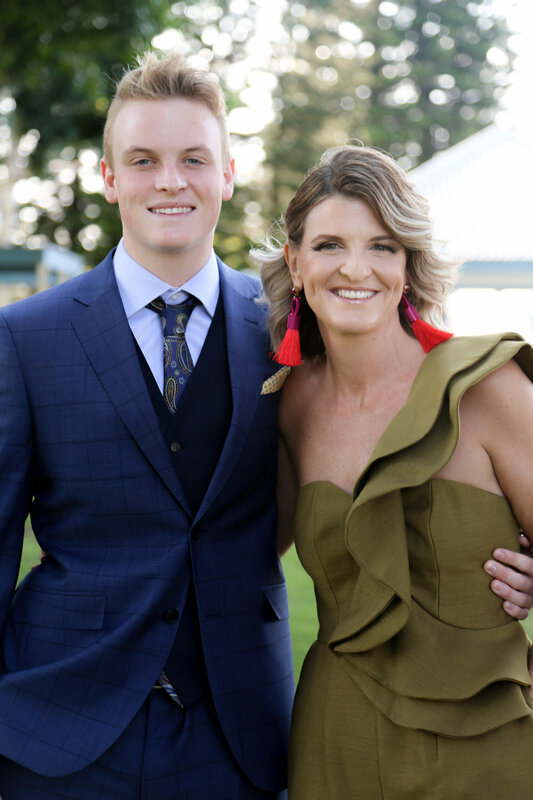 This amazing business woman, wife and mother has just released her first mini E-book titled "Love and Business - 5 Tips to Stay in Love and Stay in Business". 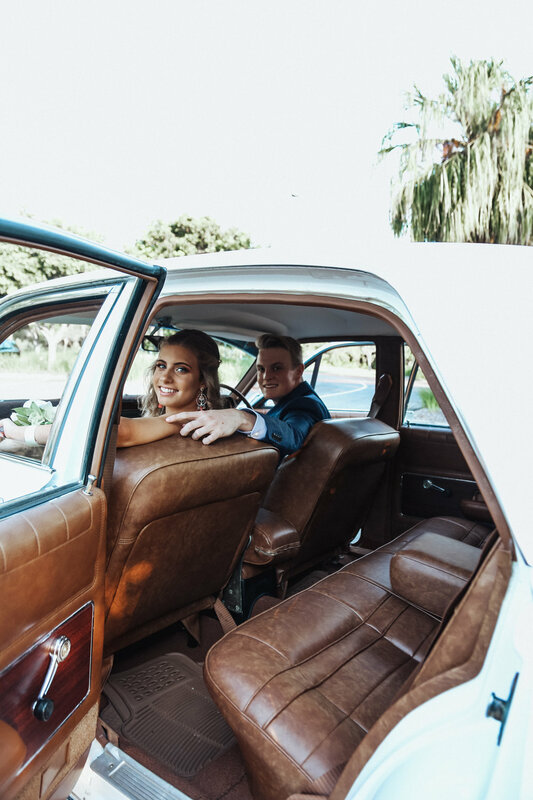 Working in a very successful and demanding company with her husband, Hayley addresses a situation that more and more families are finding themselves in. 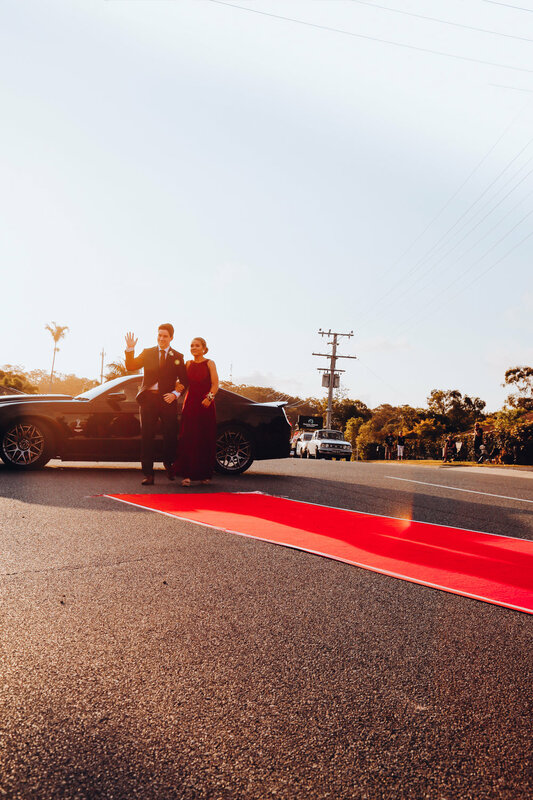 When asked what motivates her she says, "I love working with my husband, and I love what we have created, but I still feel pulled that there is more that I can do to serve people. " Taking snaps of this busy mum with her four clever, energetic and gorgeous natured girls, it was clear that, although life is very full, Hayley has ensured that her family is a tight knit group. "It was simple to see that all of the questions I get asked are all based around the family/work unit and how to make it work successfully. 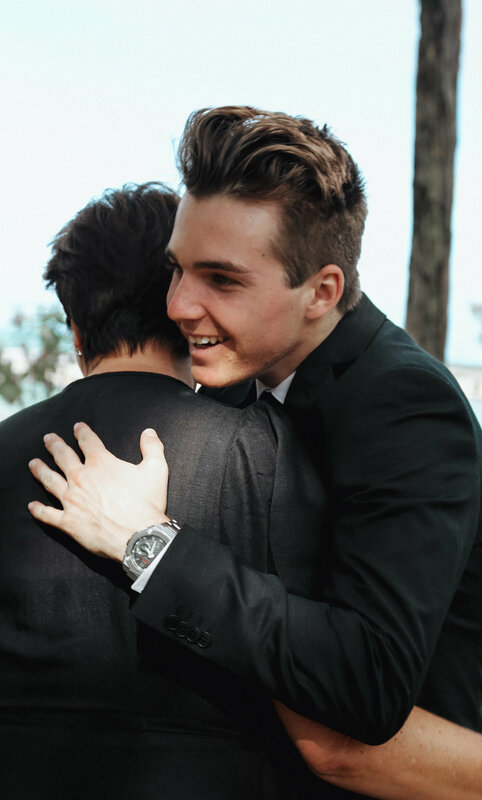 This has lead me to the path I am on now of helping couples and families in business master strategies and plans to ensure their business and personal lives thrive." Hayley's book is available to download via her website www.hayleydennis.com and follow her on Facebook via her page More than a Mum. These guys chose to swap the sub-zero, winter temps of home in Chicago, for a sun-soaked Christmas in Agnes Water this year. Needless to say, beautiful Agnes turned on the charm, providing the perfect backdrop for an impromptu family shoot. All five of them were absolute naturals in front of the camera, and I can only hope that the memories of long, balmy, summer afternoons on the beach are keeping them warm... now that they're back in the big freeze! 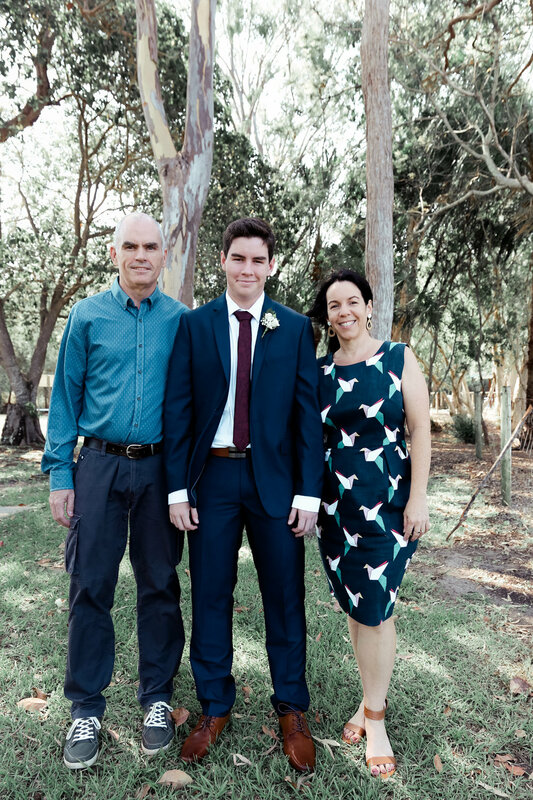 Life is busy enough when you're a working mother, yet somehow the very talented Naomi Stubbs finds time amongst her full diary to write for the Australia-wide, Surf Dive n Ski blog. I caught up with Nomes and her son (little heart-melter, Rossi), on a gorgeous, overcast afternoon at Tannum Beach, to snap some pics for her latest post. 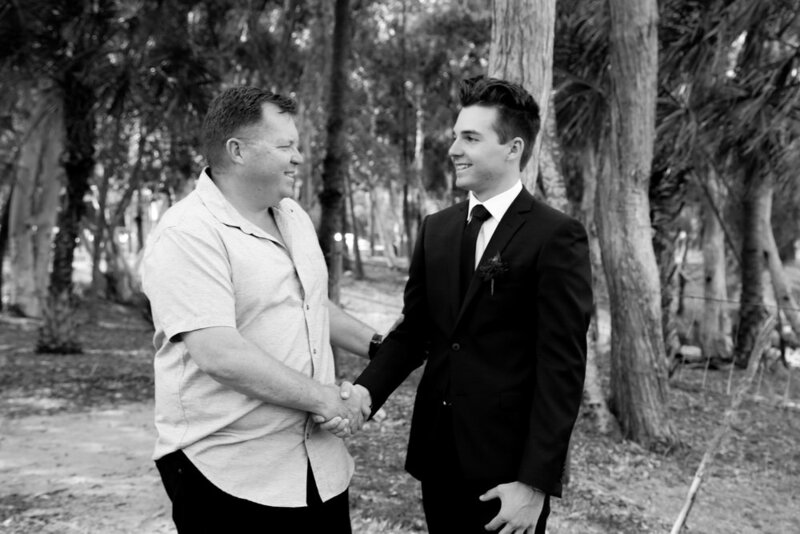 A last minute location change saw us shooting at the Wilczek's beautiful family home in Yeppoon, and it couldn't have been a more ideal location! Between the chooks, the creek, the bikes and the trampoline, I was spoilt for choice, and when gorgeous Ange thrust a glass of wine into my hand, I knew this was my kind of family. When Grandad's Christmas wish is a calendar featuring photos of his 5 grandchildren, the divine Dingle family made sure it would happen. We headed to beautiful Canoe Point and got snapping, but with each of these kids more gorgeous than the next, I found it almost impossible to choose my favourite pics, and had to leave that up to their mum! It's little wonder that Grandad wants to look at this lot on his wall all year round! Such a fun afternoon with an amazing family. Not too sure what twins, Daisy and Edward might want for Christmas ...? 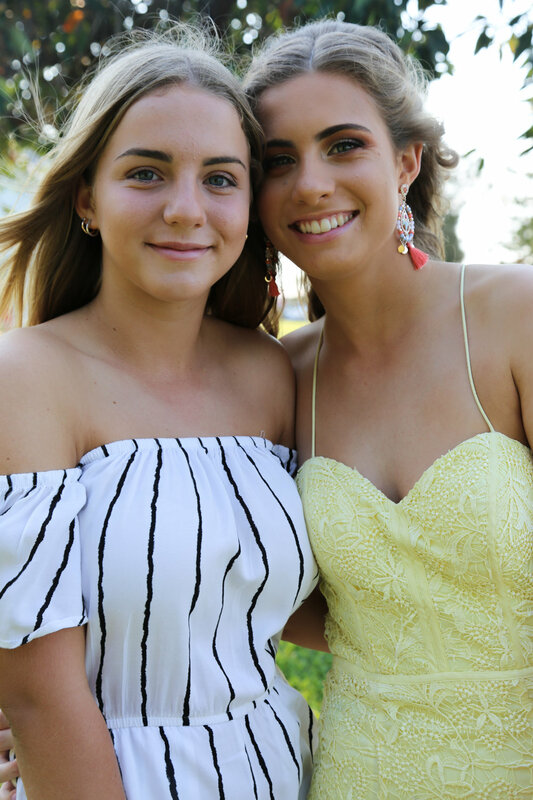 An Australia-wide model search was held to find the new face of Areli Lipgloss; a collaboration between Leesa Barr Makeup and activewear label, Areli. It was such a pleasure to be asked to shoot the campaign for these amazing brands, and even more so when I met the gorgeous winner, Hollie Miers, who was chosen from hundreds of entries. 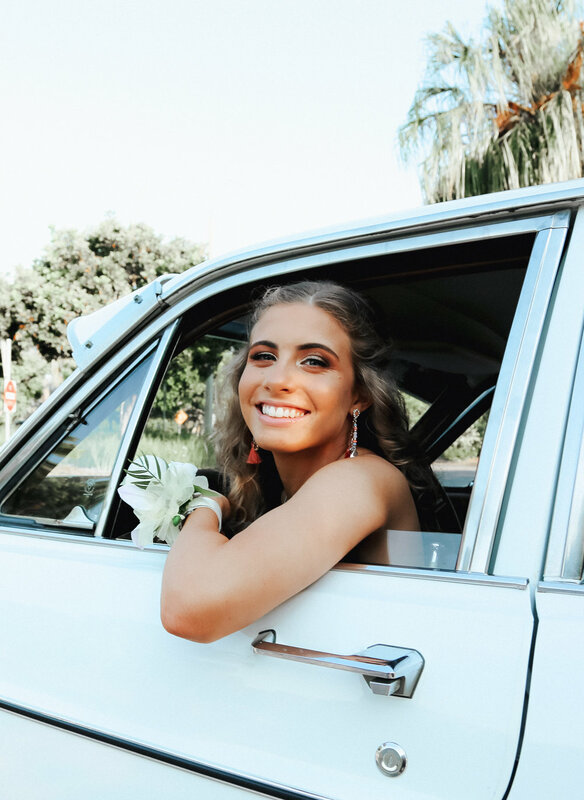 She totally nailed the Areli vibe, with her active lifestyle, sunny personality and killer smile, and was a complete natural in front of the camera! Special thanks also goes to Fitlife, Tannum Sands, for their support. Founder of Nadurtha Body, Verity Wallace, recently approached me, with the challenge of photographing a campaign to help her launch her all natural, organic deodorant overseas. 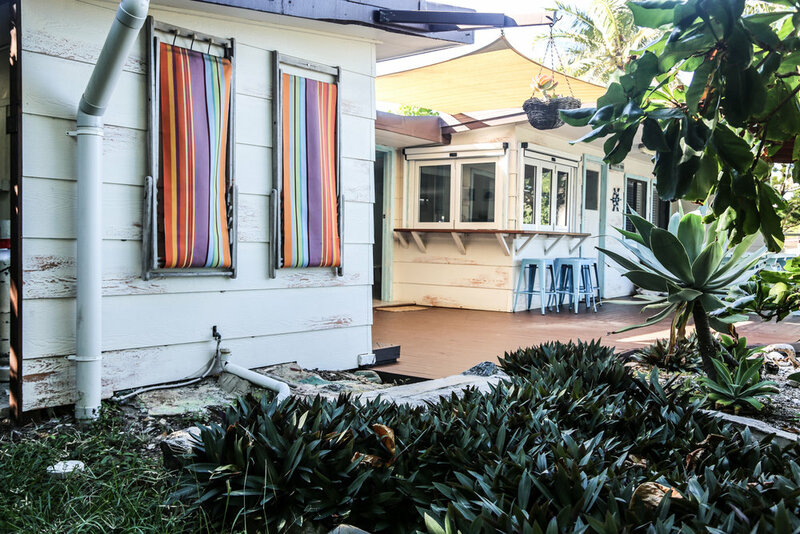 For this shoot, we couldn't really go past the brand new Honeymoon Chalets at Agnes Water. The sand is literally on the doorstep of these 5 star luxury cabins - trust me, I'm already planning my next mini break here. We recruited the super stunning Josie McAullay to round out our team, and she took it to the next level. Brilliant blogger and stylist, Naomi Stubbs invited me to snap some pics for her latest submission to Surf Dive n Ski. The brief: One dress transformed into 3 completely different looks using accessories. Rounding out our team for the afternoon was gorgeous model and all-round babe, Yasmine McGuinnes, and of course there was no better place to shoot than our own backyard (Main Beach, Tannum Sands). A gorgeous family at the beach. Courtney's transformation into an absolute bombshell for prom. 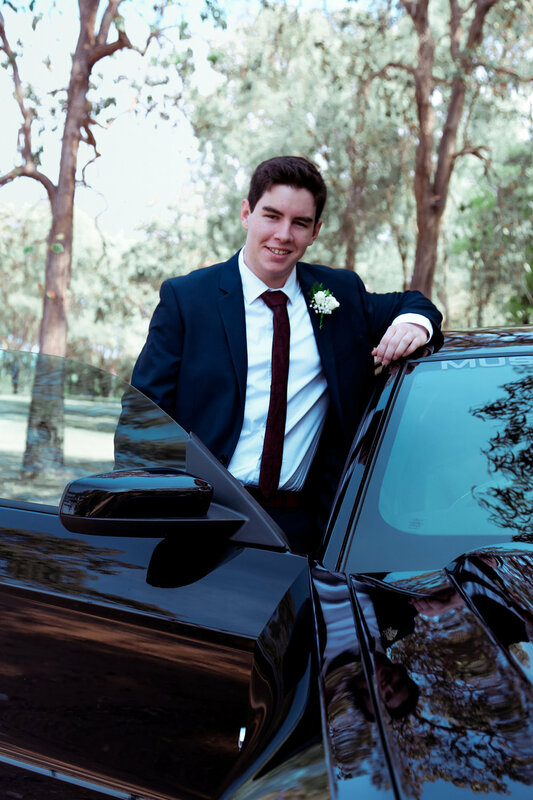 The very suave James, his partner and this gorgeous car on prom day.